The water sparkled in front of me as the waves picked up over the water. Two seagulls landed and near the waterfront and fought over some food. One won and the other flew away, only for the winner to follow as the food turned out to be nothing less than a piece of paper. A Swedish flag waved atop the mass of a boat in the water, reminding me once again of where I was. It seems unfair to compare Stockholm with Copenhagen, but I’ll admit I knew little about the both of them before I came. Sure both were well known internationally as being forerunners of sustainability with unrivalled qualities of life, but I knew little about both beyond that small fact. So after living in Stockholm for a week, my best way of understanding this city seems to be from its differences with Copenhagen. For one thing, it seemed busier. There was a well-developed subway network, and the city “centre” appears to have more people than that on the busiest streets of Copenhagen. I put centre in quotations because it almost feels as though the city doesn’t have one centre, but several. There was Gamla Stan, which aside from being known as the old town and place on which the Royal Family lived, is probably best described as a tourist centre for its concentration of souvenir shops. Across the bridge was Norrmalm, which had a long pedestrian shopping street not far from office blocks (one of the few in Stockholm) which I considered the business centre of the city. 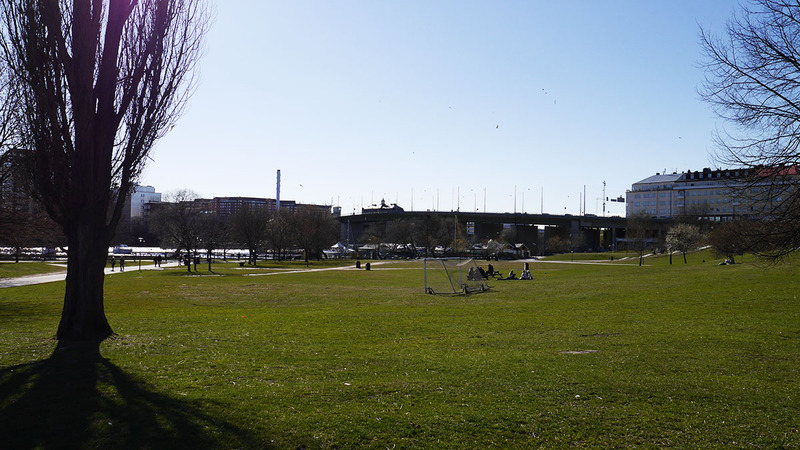 Not far away was the entertainment centre of Djurgården, an island composed of a giant parkland dotted with amusement parks, museums and other attractions. Perhaps that was the thing about Stockholm. Composed of a number of islands connected by over 50 bridges, the city is roughly divided programmatically into different regions. Then there’s where I am. 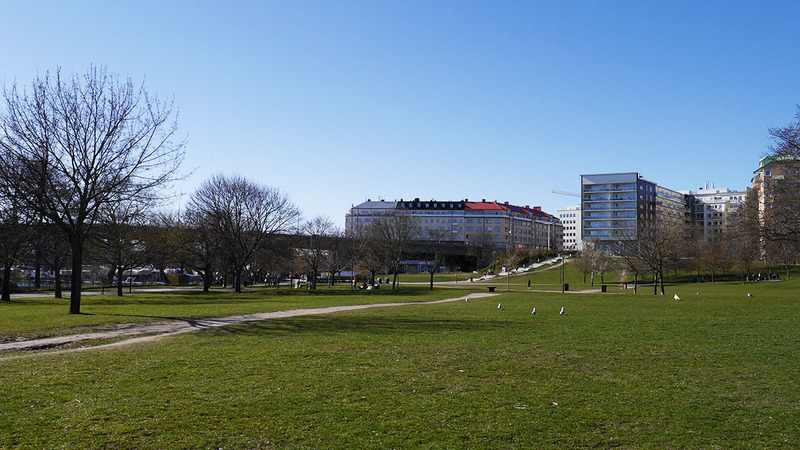 In a park on Södermalm, looking across the river at some new housing and office blocks. There’s a highrise being constructed across the water, which from the looks of the windows appear to be a residential building. Admittedly, Stockholm wasn’t as exciting as Copenhagen. 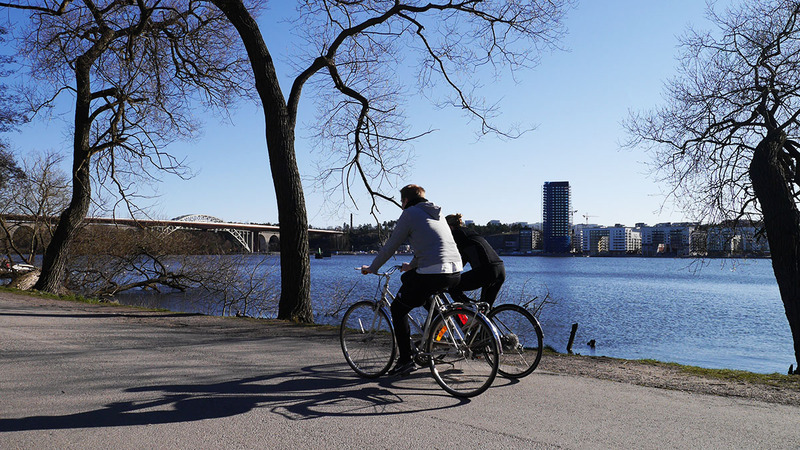 There isn’t much new and inspiring architecture to see, nor is there as strong an obsession with the bicycle as Copenhagen that makes that city so curious from someone from a hilly Asian city like Hong Kong. 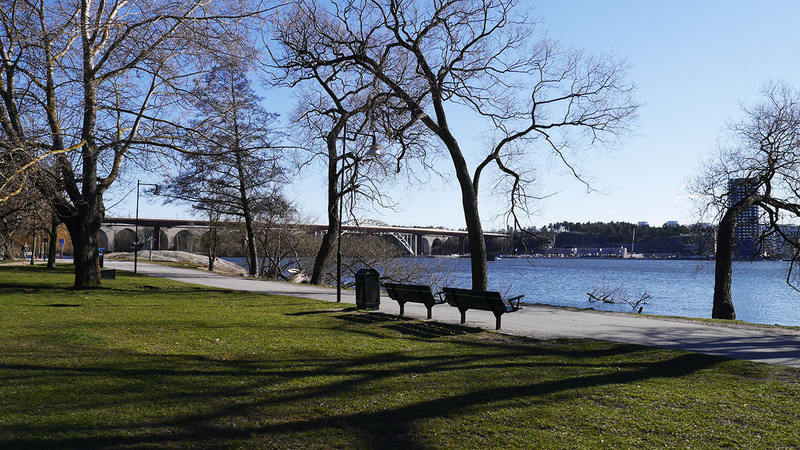 What Stockholm does have, though, is a sense of belonging. As joggers jogged by and each of their passing shadows become longer as a result of the setting sun, this city feels much more real. 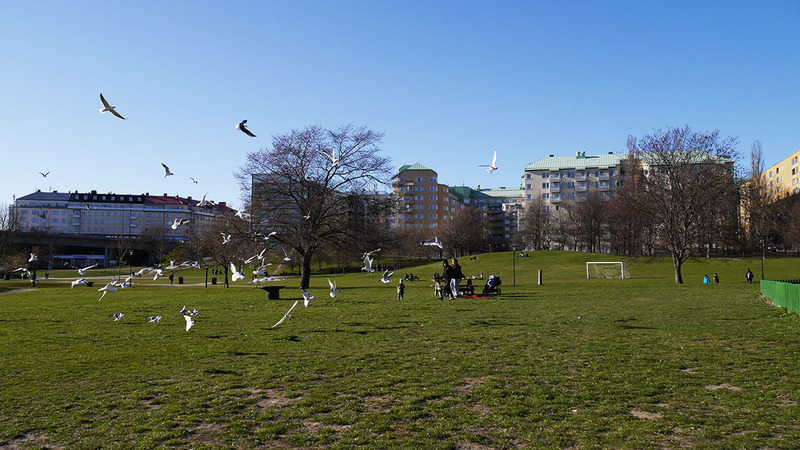 That sense of reality might be created by none other than a familiarity, but Stockholm felt much more genuine. And so, as the train crossed over the metal arched bridge in the distance, there was, for the first time in a long while, a sense of belonging. 16 Apr	This entry was written by ki and published on April 16, 2014 at 3:45 am. It’s filed under footnotes, Ke, Stockholm. Bookmark the permalink. Follow any comments here with the RSS feed for this post.